A comprehensive guide and fact sheet about the 1st dynasty. Discover fascinating facts and information about ancient Egypt and the firstt Dynasty of Ancient Egyptian pharaohs. Definition: The 1st Dynasty of ancient Egypt consisted of a succession of kings from the same family who succeeded each other on the royal throne of Egypt by right of inheritance. The Kings of Egypt and pharaohs of the 1st Dynasty ruled for during the time period known in ancient Egyptian history as the Early Dynastic Period. First Dynasty Dates: c3100 - 2770 B.C. The "principal deities" worshipped by the ancient Egyptians were already established and those worshipped on a national basis included Amun, Ra, Ma'at, Khonsu, Neith, Menthu, Shu, Seb, Nut, Osiris, Set, Horus, Ptah, Sekhet, Anukis, Hapi Thoth, Anubis, Satis, Isis, Nephthys, Anhur, Khepra and Tefnut. There were many hundreds of other gods and goddesses worshipped at a local level. Some of these became national gods, under the patronage of different pharaohs. The prominence of different gods was constantly changing throughout ancient Egyptian history. The table contains the list of rulers of the first dynasty. Click a link for facts and events of each of the reigns. Overview with interesting facts and information about the civilization and history of the 1st Dynasty Pharaohs and Kings of the Early Dynastic Period in ancient Egyptian history. Fact 1 on 1st Dynasty: The Predynastic warriors in the Nile Delta of Lower Egypt, led by the ancient kings such as Scorpion, made the first moves to subdue the population of disparate settlements and quarrelsome leaders in their attempt to merge the area under one ruler. Fact 3 on 1st Dynasty: King Narmer and his son King Hor-Aha built the city of Memphis in Lower Egypt in which he established as his capital, building a great palace on the site. Fact 4 on 1st Dynasty: Narmer is the name of the king who is depicted on this ancient artefact known as the Narmer Palette. Fact 5 on 1st Dynasty: The first kings who followed Narmer continued military campaigns aimed at the unification of Upper and Lower Egypt. 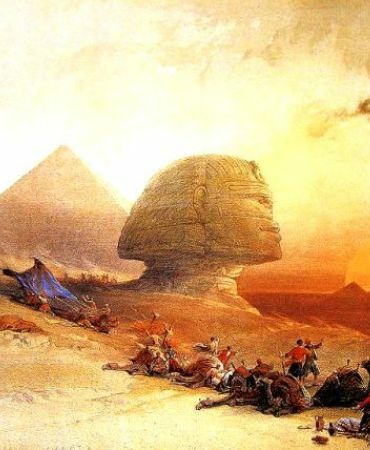 Fact 6 on 1st Dynasty: The kings of the period then conducted military campaigns in the desert areas that bordered Upper Egypt and these campaigns extended into the Sinai. Fact 7 on 1st Dynasty: The Asian inhabitants of the desert areas were nomadic tribes of Bedouins. Conflicts between the Bedouins and the Egyptians were fiercely fought as the Egyptians needed to keep control of the quarries and mines in the desert areas. Fact 8 on 1st Dynasty: The Eastern Desert, that bordered on the Red Sea, was inhabited by tribes of nomads called Troglodytes. Fact 9 on 1st Dynasty: The capital of Egypt changed from Memphis to Thinis during this era. Fact 10 on 1st Dynasty: King Den is recorded as quelling the Troglodytes on the Palermo Stone. Fact 11 on 1st Dynasty: An ivory label from the period also shows Den 'smiting an Asiatic'. The label bears the inscription 'first time of striking the easterners' and shows Den with a mace held above his head about to club an Asiatic chief. Fact 12 on 1st Dynasty: The stone quarried in the mines of the desert were put to use by the early pharaohs who initiated the building of great monuments and tombs, a tradition that would continue for over 3000 years. Fact 13 on 1st Dynasty: Den's tomb at Abydos was part of a large burial complex. The tomb itself is the earliest example of stone built architecture found in ancient Egypt. Fact 14 on 1st Dynasty: The large burial complexes held the bodies of those sacrificed with the kings of the era. Human sacrifice and animal sacrifice both played a part in the funerary rituals. Fact 15 on 1st Dynasty: The funerary rituals involving animal and human sacrifice were due to the religious belief that the pharaoh would require servants and animals in the Afterlife. Fact 16 on 1st Dynasty: The practise of human sacrifice ceased at the end of the first dynasty of pharaohs when 'shabtis' took the place of actual people. Shabtis were small funerary statuettes that were placed in tombs to perform tasks for the deceased in the afterlife. The traditional enemies of Egypt were collectively referred to as the 'Nine Bows' reflecting the weapons they used. The name of the famous king of the Late Predynastic Period was Scorpion. The following 1st Dynasty Chronology details the names of the Kings and Pharaohs of the 1st Dynasty and the dates of the years during which they reigned together with a map of ancient Egypt. 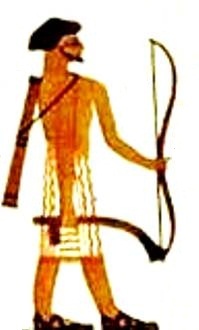 Refer to Menes for information about this this mysterious figure in ancient Egyptian history. Discover fast, interesting fun facts about 1st Dynasty for kids with some amazing, cool and quick information about ancient Egypt and Egyptians. Ideal for children, homework, schools, teachers and kids of all ages! Find fascinating fun facts about the history and kings of this dynasty for kids and the history, culture and civilisation of the ancient Egyptians and ancient Egypt. Interesting, fun facts about 1st Dynasty for research, schools, students and kids of all ages. Learning about the ancient Egyptians and 1st Dynasty inspires everyone to visit historical sites and undertake Egypt Travel and Tours to experience the wonders of this magical land at first hand. Many people choose to experience a tour of Egypt on a Nile Cruise stopping at the famous destinations and sites of Egypt such as the Pyramids of Giza and the Great Sphinx. The information and facts about 1st Dynasty will provide you with a great insight into Egypt and the legacy of the ancient Egyptians.